(NaturalNews) Just how bad was the radiation fallout from the near-complete destruction of three nuclear reactors at the Fukushima power station following a massive earthquake-generated tsunami in March 2011? The answer is, most people simply don't know - because the media coverage of the damage and fallout, at the time of the accident and in the four years since, has been grossly inadequate, according to a new study. As noted by American University sociology Prof. Celine Marie Pascale, there has especially been a dearth of U.S. media coverage, the disaster long disappearing from the headlines of domestic newspapers and cable news networks, despite the fact that the crippled plant dumps three hundred tons of radioactive water into the ocean daily, and the region surrounding the plant remains uninhabitable - probably forever. Further, her new analysis found that U.S. news media coverage of Fukushima "largely minimized health risks to the general population," says a press release from the university. Pascale analyzed more than 2,000 news articles from four major U.S. outlets following the disaster's occurrence March 11, 2011 through the second anniversary on March 11, 2013. Only 6 percent of the coverage - 129 articles - focused on health risks to the public in Japan or elsewhere. Human risks were framed, instead, in terms of workers in the disabled nuclear plant. "It's shocking to see how few articles discussed risk to the general population, and when they did, they typically characterized risk as low," said Pascale, who studies the social construction of risk and meanings of risk in the current century. "We see articles in prestigious news outlets claiming that radioactivity from cosmic rays and rocks is more dangerous than the radiation emanating from the collapsing Fukushima Daiichi nuclear plant," she added. The sociology prof examined news articles, editorials and letters from two major U.S. papers - The New York Times and The Washington Post - and two additional, prominent online news sites - Politico and The Huffington Post. The four outlets are not only among the largest, most influential in the U.S., they are also the most-cited by television news and talk shows, as well as other newspapers and blogs. Also, they are talked up in social media often, says Pascale. So, in that sense, she says, seeing how risk is presented in national prominent media can provide data on how the issue is framed nationally, in public conversations. 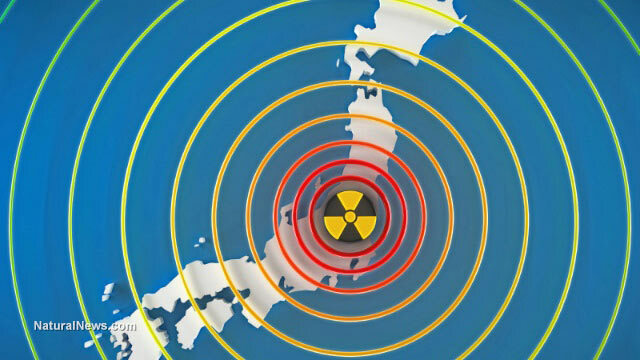 Pascale's analysis identified three primary ways in which the news outlets minimized the risk posed by radioactive contamination to the general population. Articles made comparisons to mundane, low-level forms of radiation; defined the risks as unknowable, given the lack of long-term studies; and largely excluded concerns expressed by experts and residents who challenged the dominant narrative. The results, she says, demonstrates that corporations and government agencies provided disproportionate information and data regarding the impact of the disaster - on the environment, the long-term effects of massive radiation contamination (which are well-known), the oceanic ecosystems, the migration of the radiation globally, and on the exposed human populations. "Even years after the disaster," the university press release said, "government and corporate spokespersons constituted the majority of voices published. News accounts about local impact - for example, parents organizing to protect their children from radiation in school lunches - were also scarce." The professor believes her findings reveal the need for the general public to be much more critical consumers of news. She notes that expert knowledge can be employed to generate misinformation, propaganda and uncertainty, especially in information vacuums created after disasters. "The mainstream media - in print and online - did little to report on health risks to the general population or to challenge the narratives of public officials and their experts," Pascale said. "Discourses of the risks surrounding disasters are political struggles to control the presence and meaning of events and their consequences. "How knowledge about disasters is reported can have more to do with relations of power than it does with the material consequences to people's lives," she concluded.